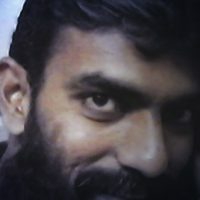 April 9, 2017 April 9, 2017 - by UsmanAnsari - 4 Comments. Super Power isn’t an unfamiliar name in Pakistan. As part of Pirani Group of Companies, Super Power has a dominant position in 2-wheeler market since more than a decade. 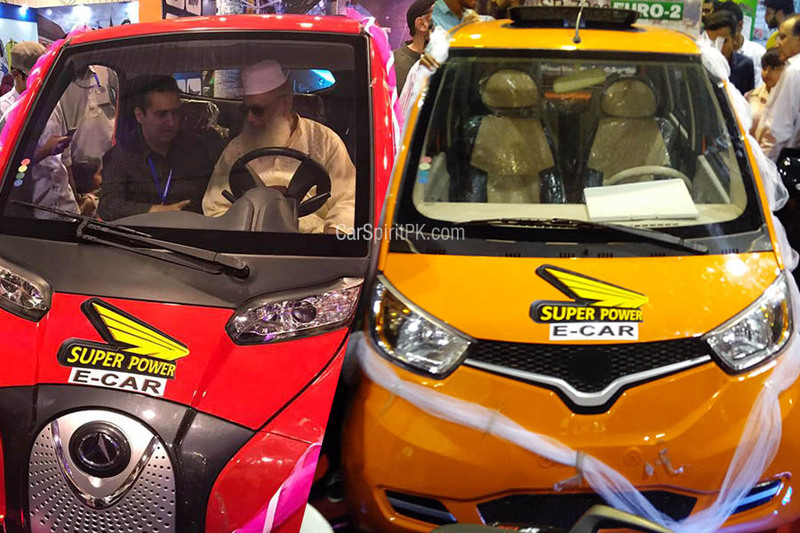 The company has just unveiled two electric vehicles (EV) at the My Karachi Expo 2017 and plans to officially launch the EVs in coming months. 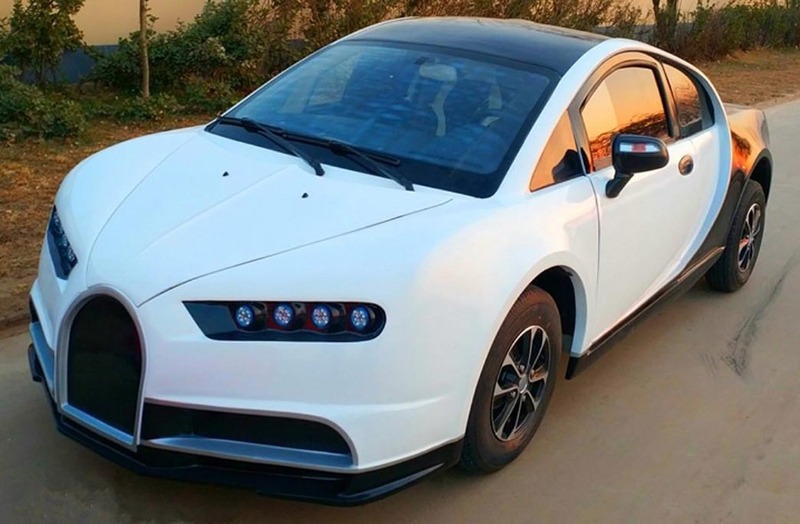 The cars are being imported from China and with zero emissions, can travel at a speed of up to 55km/h with a range of 120km in a full charge and takes up to 7 hours to completely charge the battery. The EVs can be charged via a normal domestic electric socket. 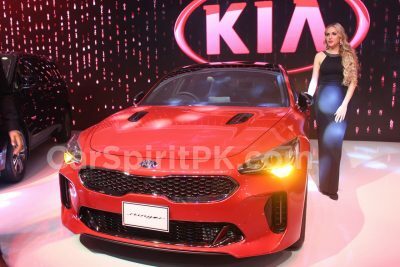 The two-door version will cost somewhere between PKR 5.0 to 6.0 lac while the 4 door version will cost around PKR 6.5 to 7.5 lac. 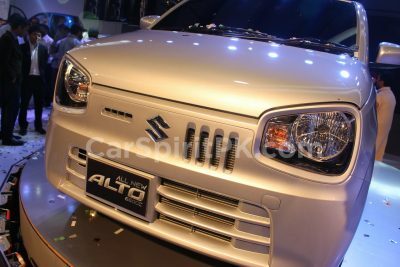 The two-door car comes with a black interior and has a storage box located outside the car at its rear end, since there is literally no space inside other than 2 seats. The four-door version looked roomier and can seat 4 passengers; it has beige color interior and is also equipped with a small sunroof. 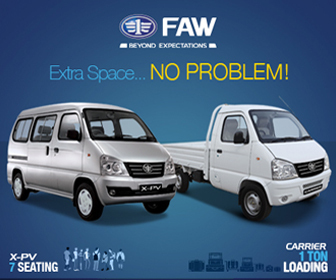 Both the vehicles come with air-conditioning and power windows as standard. Both the EVs on display were left hand driven models, so it will be really interesting to see if the vehicles that are actually going to be launched are right hand driven models. 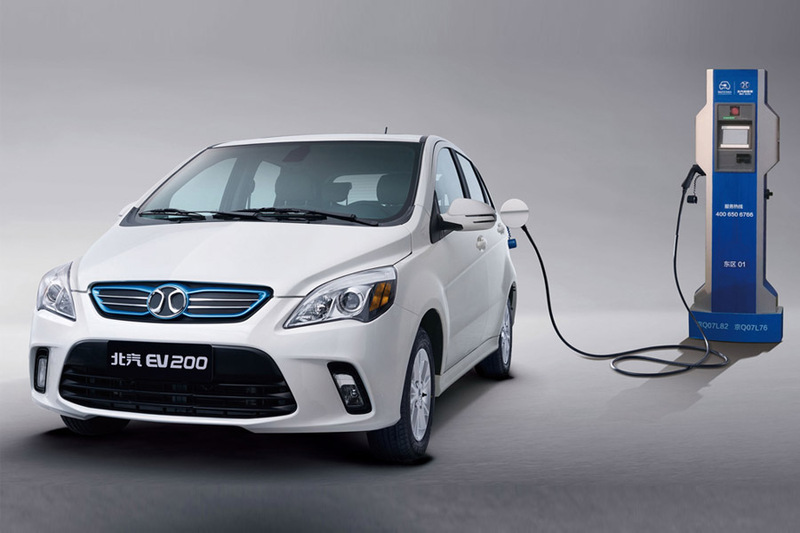 China has innumerable number of electric vehicle manufacturers but you need to know that the known Chinese brands such as FAW, Changan, GreatWall or BYD have proper electric vehicles in their portfolio. The ones displayed by Super Power are actually called LSEV (Low Speed Electric Vehicles) that are manufactured in China by not less than a hundred manufacturers. They are extremely popular since most models are very compact, resembling golf buggies, they are easy to park and take very little space. Parking has become a significant problem in major cities as more and more people take up driving in China. It is also quite interesting to know that in China until recently, most LSEVs did not even have a license plate. Before October 2016, there were no rules governing the manufacture or use of LSEVs whatsoever. But now, the Chinese government has announced its intention to oversee the sector, and these LSEVs are set to play a major role in China’s rapid urbanization. By controlling and overseeing the LSEVs, Chinese government will be able to raise the standards, which will not only benefit consumers and boost LSEV sales in China, but also help manufacturers to reach into export markets. Chinese government’s decision to oversee the production of LSEVs shows that China is serious about steering the development of low-carbon mobility, not just at home but all around the world. Super Power’s decision to introduce the LSEVs in Pakistan is indeed a bold step. However considering the price, which is tentative as of yet, it looks a bit towards the higher side. According to company’s chairman Haji Younus Pirani, negotiations with the government are underway. If the duties are set low, a vast majority of Pakistan’s middle-class will benefit from an affordable yet economical transportation.